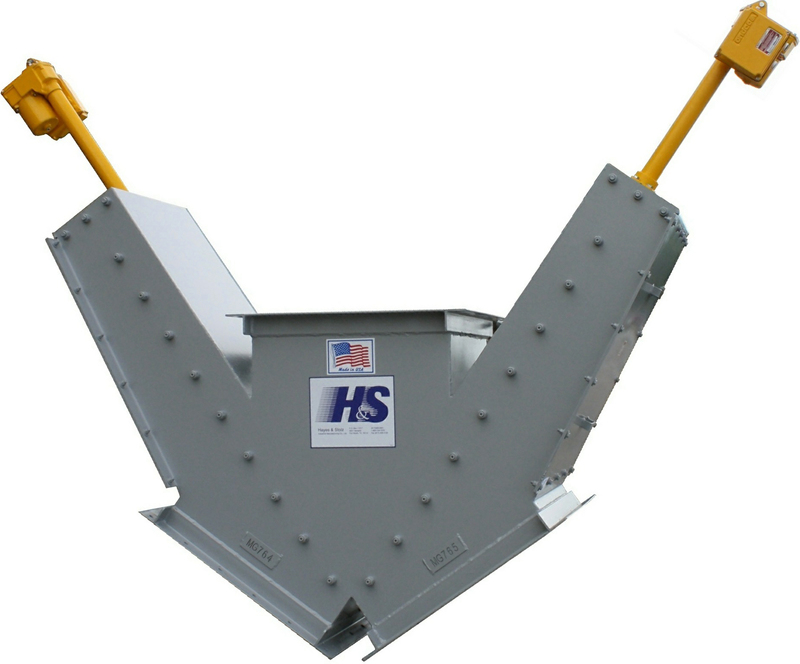 Hayes & Stolz “Splitter” Gate Valves are designed with slide gate plates mounted inside a common “A”, “K” or “3-Way” housing. The arrangement and operation of the slide plates offers additional flexibility not available in conventional valves. The valve can be “closed” to all outlets; “open” to a single outlet; “open” to all outlets; or “proportioning” between outlets by slide plate positioning. Valves can be operated by pneumatic cylinder, electric linear actuator, electric rotary actuator or hydraulic cylinder. See Features/Options tab for available options for Hayes & Stolz Gate Valves.